After a quick look back, it seems that promotion in Extension has been the focus of these pages at least half a dozen times over the past four years. Given that I was part of two promotion-related professional development in-services last week, it seems fitting to highlight this topic once again. 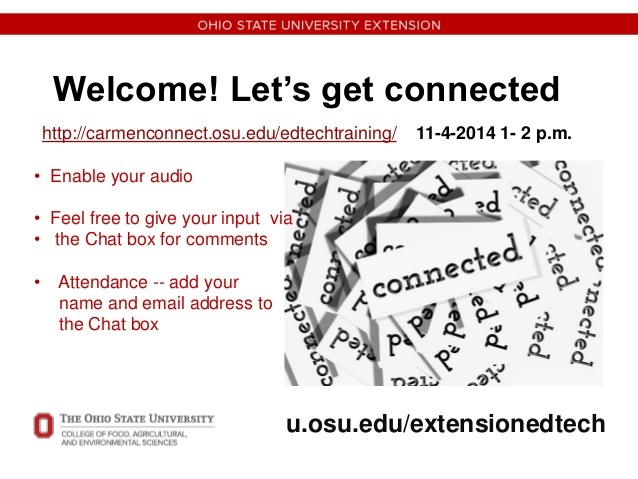 No matter your position at OSU Extension, pursuit of professional growth and development is the expectation. It is what keeps your work interesting and your position relevant. It can broaden experiences and create opportunities and in the purest sense, it enables you and the organization to get better. As part of an academic institution, one of the ways that professional growth and development is recognized is via academic promotion. When you apply for promotion, you are inviting your peers (peers we choose to carry out the duties and responsibilities as review committee members) to assess your body of work against the norms and values of the department, college and university. We often hear that OSU Extension is highly regarded by our peer organizations throughout the country. Being in the top and staying in the top over time takes work. I would like to think we are in the top 2-3 systems in the country and we are able to maintain this standing, in part, due to our ability to seek promotion. We and the system are able to continually get better because we are holding each other accountable via the promotion process. Our continual pursuit of professional growth and development is validated in our applications for promotion, and the promotion process itself fosters a culture of high performance and accountability. Every year our expectations for excellence are reinforced and arguably raised via the dossier submission and review process. Promotion (that is, inviting your peers – some of them complete strangers – to critique your accomplishments) might sound a bit intimidating, but it need not be. How you are to present your body of work and the review process itself are very well defined by the Office of Academic Affairs (see Volume 3, Promotion and Tenure). The specific things done that ultimately comprise our body of work are largely left up to you, your teammates, your supervisor, stakeholders and constituent groups, etc. Since pursuit of academic promotion is an expectation for Extension folks holding an A&P or faculty promotion-eligible position, there are two keys to success: 1) become intimately familiar with the process, and; 2) work your well-rounded plan for teaching, creative/scholarly work and service. You can learn more about the process and the outline to follow in the most recent department guidelines posted in the Promotion and Tenure Section of the Extension Policies and Procedures Handbook (our guidelines follow the OAA guidelines but in greater detail). I also encourage you to take an active approach to mapping out your 3-5 year plan for teaching, creative/scholarly work and service with your peers, supervisor, teammates, me, etc. Participate in the boot-camps and annual workshops to learn more - the next Extension Promotion Workshop is January 27 – contact Lisa Dune (dune.2) to register. Do some reading, some thinking, review your work plan and your vita to date and come up with your questions. Share them with your colleagues who have recently been through the process (as a proportion of total staff, we have many in CD). If you are currently in a position that is not ‘promotion-eligible’ but you have aspirations for academic advancement, please let me know, and realize that you are encouraged to join in the learning fun as well! Congratulations to Greg Moon for being awarded one of five CFAES Staff Professional Development grants! These awards are funded through the support of donations from current and former employees and are offered to help supplement the costs associated with travel and fees for professional development opportunities for CFAES staff. This is a one-time reimbursement not to exceed $200. The form for Professional Presentation Support is used to request support from Extension Administration for presentations paid on Extension funds after the presentation has occurred. Support is on a calendar year rotation and is limited to a maximum $300 per employee or presentation per year. Click here for the form, including complete instructions. Forms are due to the business office by January 15. Try to use a presentation where you were the only presenter or the only OSU Extension presenter so that you can get the full $300, otherwise it must be split between multiple OSU Extension presenters. You must use the chartfield information to which the travel was originally charged; however, if it was charged to a release time fund (550052) or to a state fund (530801), please let Sandy know so that we can get permission to use another one of your funds for the credit. Please copy Sandy on your email to Wendy Michel. If you have questions or need your T#, please give Sandy a call. The OSU Climate Change Webinar Series continues on Tuesday, November 18, from noon-1 p.m. with “Climate Change & Corn Belt Agriculture,” presented by Richard Moore from Ohio State’s Office for Energy and the Environment. Moore will discuss climate predictions for the Midwest, impacts for Lake Erie and findings from a $20 million grant focused on food stability. Registration: climategreatlakes.com/upcomingwebinar. This two-day workshop with be held in the Nationwide and Ohio Farm Bureau 4-H Center, Gehres Room on December 2 and 3 from 9 a.m. to 3 p.m. This training is designed to help participants learn about facilitation processing and tools to use with group management. Participants will learn about the process and practice using tools to gain a more in-depth understanding of how to select the right tools in order to successfully help groups accomplish their desired outcomes. The first day will be Facilitation Processing where participants will understand facilitation and the facilitator roles. The second day will consist of Building Your Facilitation Toolbox. The presenters of this workshop are: Rose Fisher Merkowitz and Treva Williams. For more information and to register, please click here. If you have questions, contact the OSU Leadership Center at 614-292-3114 or e-mail Jody Termeer (termeer.1@osu.edu). Save December 2 through12 to join a virtual conference on hot topics for sector initiatives. The conference is offered by the National Network of Sector Partners (NNSP), an initiative of the Insight Center for Community Economic Development. NNSP is the national association for sector initiatives and their supporters. It features important policy and practice lessons from the sector field. For more complete information, please click here. Recently, the Ed Techs hosted an online training about utilizing webinars as a teaching tool. The PowerPoint Presentation is available, as well as a summary of the main points. Are you interested in presenting an educational webinar? The Ed Techs are offering to provide preparation training, hosting and “back-end” support for program and support staff who wish to present educational webinars in 2015. These will not be professional development webinars as normal, but rather webinars intended to educate online clientele (How to Respond to Temper Tantrums, 3 Simple Ways to Stick to Your Budget, How to Diagnose Pest Disease – as examples). For more complete information, please click here. Visit eXtension Learn (learn.extension.org) to view and register for the many upcoming webinar sessions available throughout the month of November and beyond. Structural Racism and Food Inequity - November 17 at 3:00 p.m.
Educational Technology Learning Network Twitter Chat - November 20 at 2:00 p.m.
Diversity & Inclusion among Advisory Membership - December 3 at 1:00 p.m.
Work for Extension? : What Librarians Can Do for You - December 11 at 2:00 p.m.
Financial Recovery after Disaster: Family Financial Toolkit Videos - December 16 at 11:00 a.m.
OSU Extension Minority Professional Development Award funds are for use during the 2015 calendar year. Full terms and conditions are available here. This award is intended to support the professional development needs of Extension employees who consider themselves a minority and wish to expand their knowledge through professional development or to support the professional development needs of Extension employees who strategically and actively work to support the diversity and inclusion efforts within the scope of their work. All nominations should be submitted to the Extension Minority Professional Development Committee via the web application form. Questions? Contact Cindy Buxton or Kathy Lechman. Stronger Economies Together (SET) is launching a new Phase (V), and would like to invite you to attend a webinar on December 5 at 2:00 p.m. to learn more about this opportunity. SET enables communities and counties in rural America to work together in developing and implementing an economic development blueprint for their multi-county region that strategically builds on the current and emerging economic strengths of that region. Creating, attracting and retaining jobs as a single rural county, in isolation from other nearby counties, is becoming increasingly ineffective. In today’s global marketplace, economic development progress is more likely to be realized when rural and metro counties work together as a region to assess, design and implement plans that build on their assets and comparative economic strengths. All states will be eligible to join SET as part of Phase V, including those in previous phases. Note that applications need to be jointly developed and submitted by USDA Rural Development (working with the State Director) and Extension Service. Applications are due January 31, 2015 (and will be shared with you closer to the webinar date). The regional applications will be due later. Stronger Economies Together is a partnership between Cooperative Extension Service, USDA RD, the four Regional Rural Development Centers, NIFA and Purdue Center for Regional Development. The partners all work together to help regions (which are 3 or more counties) to work, learn, plan and implement together the region’s plan. 3. Enter the session password: SET and click "Join Now". To view in other time zones or languages, please click here. If the state joins SET for Phase V, it will require a commitment of staff time from both Rural Development and Extension. Extension Service will receive a subcontract for the regions it serves in the amount of $26,400 per region for up to two regions. This funding can cover staff time, travel and program delivery expenses (printing, supplies, meeting expenses, etc.). Questions can be directed to Rachel Welborn (662-325-5885). The North Central Regional Center for Rural Development (NCRCRD) at Michigan State University announces a competition for seed grants aimed at enhancing the ability of Land Grant institutions to positively influence the quality of life in rural areas of the twelve-state North Central region of the United States. Grant awards may range from $5,000 to $25,000 each. Up to $144,000 will be awarded. The Center does not pay overhead or other administrative costs. Proposals are due at 5:00 p.m. on January 28, 2015. Proposals received after the application window closes will be reviewed by the NCRCRD director only (not referees) and not considered for funding in this cycle. Thursday, November 20 at 11:00 a.m.
Thursday, January 8 at 3:00 p.m.
To sign up and to receive the call-in information, email Rosa Soliz (soliz@msu.edu) and indicate the date for which you are registering. Details, including theme descriptions, how to apply and all documents can be found here. OSU CARES/OSU Extension, the Service-Learning Initiative and the Office of Outreach and Engagement are pleased to offer this year’s OSU CARES/OSU Extension Seed Grants, Service-Learning Grants, and Engagement Impact Grants to support scholarly engagement efforts of university faculty and staff. This year, having more than $300,000, to support programs that establish and expand innovative, creative, scholarly engagements to address compelling challenges and critical needs in communities. Information on the grants is available here and on the Grant Comparison. Proposal submission deadline is Monday, February 16, 2015. If you would like some additional information, please contact mccann.249@osu.edu. Are you interested in testing out Google Glass as a programming tool? The Ed Techs are now recruiting interested individuals to participate in a Google Glass pilot project. Those who are selected will be able to “check out” a pair of Glass from one of the Ed Techs and use them over a 3-4 week period. Ready to test Glass out for yourself? For more information and to apply click here. Beginning November 17, all IRB and exempt applications can be entered into the new web-based submission system, Buck-IRB. Researchers with currently approved studies will be asked to migrate basic study information at the time of amendment or continuing review. To access the new system, view user guides or sign up for a training session, see the Buck-IRB webpage: orrp.osu.edu/irb/buck-irb/.